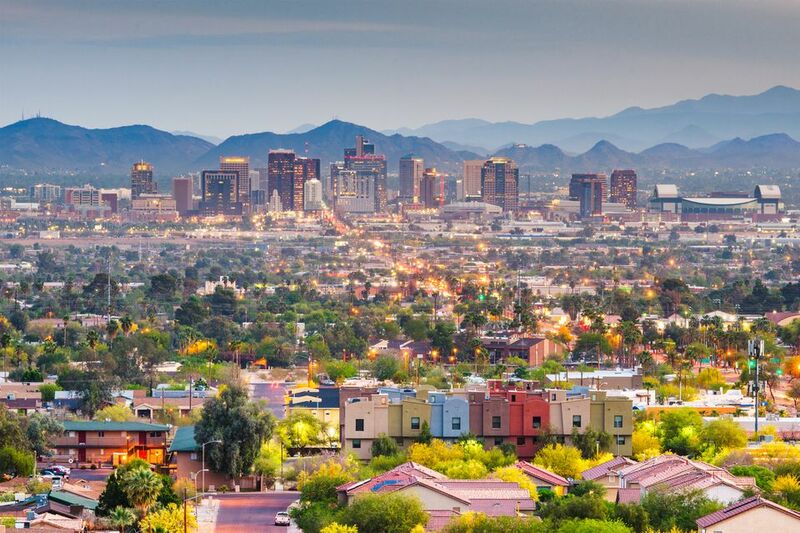 After living in the Valley of the Sun for more than 40 years, it's easy to focus on the positives of living in Phoenix. However, there are some things that I wish were different. But let's focus on the positive first. I enjoy spectator sports. When I first moved to the Valley of the Sun, the Phoenix Suns were the only game in town. High school and college sports were prominent, but being from New York I didn't have a school allegiance here. Now we have pro basketball, baseball, football, hockey, NASCAR, golf, beach volleyball, marathons, and more. I no longer have to travel to Los Angeles or New York to see quality theater productions. We get all the big name concerts here, as well as touring Broadway productions, Cirque du Soleil, and other professional companies. We also have many local professional and semi-professional theater, dance, and music organizations including symphony orchestras, ballet, and opera. Having come from a part of the country known for concrete and skyscrapers, I never tire of seeing mountains, hearing and seeing birds, seeing stars at night, and Arizona sunsets. I still get excited when I see a jackrabbit or a coyote. I love the desert in bloom. You knew I had to mention the weather. I love the weather. You'll get no argument from me—it gets oppressively hot in the summer. By the time August comes around, and there's still two months to go, it can be a drag. But the sun almost always shines, the sky is almost always blue, and I find it much easier to get cool when it is hot than to get warm or dry when it is cold and wet. I can drive for less than two hours and be in the mountains, at least 20 degrees cooler than in Phoenix. In the winter I can ski and snowboard if I drive a couple of hours farther than that. We spend just as much time hiding from our weather indoors as people do that have harsh winters. It's just a matter of which you prefer. I'll take the sun. Not everything is perfect here, though. There are definitely some things about living in Phoenix that I dislike. Read on to see five things that I dislike about living in this area. I hate that other people have discovered this place. Our phenomenal growth during the past 30 years is a testament to the fact that people want to come here. Yes, when people lose their jobs or get divorced, why not pick a spot that's sunny all the time? That philosophy has led to quite a transient population; they get here and find out that they aren't any happier or more employable than where they came from. And yes, it's hot. Often they come with no job and no savings, so they can only afford to live in crummy, unsafe neighborhoods. They gripe about what a dump it is here, but they often can't afford to leave. On that same theme, net growth remains very high. More people stay than go. People who get fed up with home prices in Los Angeles and Seattle, for instance (and who no longer want to contend with earthquakes and rain), find that they can improve their cost of living here. The population growth inevitably brings problems in supporting it from an infrastructure perspective. I hate that our education system is failing so many of our youth. People are always throwing around that statistic from a few years ago about how Arizona is near the bottom of states for education. That ranking really had to do with funding, and during the past 40 years, I haven't witnessed that throwing more money at our education system has helped. Sprawl. I don't know how we prevent it. All that population growth has to go somewhere. I nearly have to pack a bag to visit relatives on the other side of the Valley. I do a lot of driving around town, and a 40-mile one-way trip isn't unusual for me. People who have long commutes during rush hour, which is basically from 6 a.m. to 8:30 a.m. and from 3:30 p.m. to 6:30 p.m., suffer. A drug store, office supply store, pet supply store, grocery store, auto parts store, beauty supply store, fast-food place appear on every third corner. Our neighborhoods seem so formula driven. Subdivisions often lack variety, creativity, originality, and beauty. I hate the old, tired "west side of town vs. east side of town" debate. It isn't as bad as it used it be, but let's just get over it. You east-siders aren't smarter or better looking because you live east of Central, and you west-siders need to get the chip off your shoulders about defending the west side of central. The west side of town has some very nice, residential, affordable neighborhoods. The reality of the situation is that until the west side of town can attract more and better restaurants, nightlife, resorts, and attractions—such as the City of Glendale has made an effort to do—the east side of town will be the preferred location for higher income residents, and, maybe, more importantly, tourists.